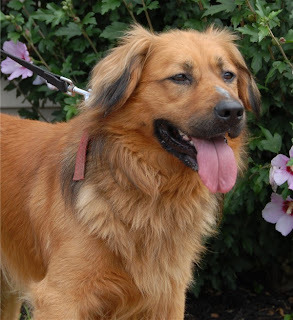 Medfield Animal Shelter News: He's Heeere! Bailey arrived today and he is quite a handsome and sweet dog! He immediately went to the vet for his vaccinations and was very well behaved. He is a Golden Retriever mix, but the other part of the mix is a mystery. He should have a home in no time.